How Can a Crack in a Basement Wall Cause Flooding? If you’ve noticed water seeping through a basement wall or want to know effective solutions for causes of basement wall cracks, you’ve come to the right place. Leaking or wet basement walls can damage your home and pose a threat to your family’s health if left for mould to grow. 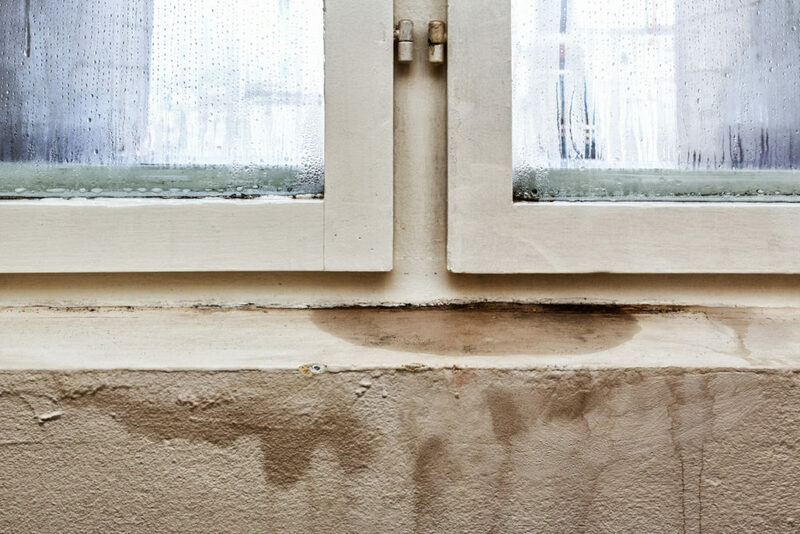 Signs that your walls have been leaking include wet walls, stained areas, mould, or white, powdery substance forming. Basement leaks can happen to anyone, but here are some common causes, and effective solutions that can get your home back in tip-top shape. Wondering what causes the cracks in your basement walls? Here are some of the most common causes, so you can be aware and seek the professional help you need to find a solution. A poorly designed slope or drainage around a building can cause surface water from heavy rains and melting snow to drain too slowly. This can increase the water infiltration next to the foundation and lead to flooding. Soil saturation is another term to describe wet ground. This can occur if the soil under the footings of the basement construction become saturated with water. The footings will then “settle” causing cracks in the walls. If the soil becomes oversaturated with water, the earth around the foundation will begin to expand. While most foundations are designed for this, too much weight of the wet soil can make the walls push inward. This movement manifests itself in angled cracks in the corners of walls or windows. Oversaturated soil can be caused by a variety of factors such as poor gutters, improper grading, and a lack of an underground downspout extension or sump pump. Concrete needs to be poured carefully when constructing the foundation and basement of a home. It’s natural for the concrete to expand when it is wet and it is mixed, but once it dries it contracts. Different factors can affect the way the concrete dries, so if there are any issues with the construction it can lead to cracks in the basement walls. The largest cause of all foundational issues is too much moisture. When water leaks into your home it can lead to the swelling of structural materials. When they remain wet for prolonged periods of time they can also rot and weaken, leading to cracking, crumbling walls, and the onset of mould growth. When the weather warms up, the structural materials of your home naturally expand. The opposite effect occurs when the temperature drops. This fluctuating movement can begin to form cracks in your walls over time. Small cracks from expansion and shrinkage are no cause for concern, but depending on how severe they are, you may need to have them inspected. When your basement was originally installed, the seams between the drywall sheets should have been properly taped, smoothed, and sealed. If this did not happen, cracks in the drywall will likely form over time. It is always a good idea to hire a professional team to handle issues with your home’s construction, or when there is water damage to your home. However, here are some ways you can prevent water from seeping into your basement. One way to prevent water from seeping into your basement is to apply a layer of waterproofing on the inside. Spray it in an even application, until the wall is covered entirely. It should be left to dry for a few days. To ensure a secure bond, spray the waterproofing in the dry months. If you are unsure of how to do this properly, you can hire the professionals to do a thorough inspection and waterproof your walls, so floods don’t happen. If done correctly, sealing a leaking wall crack is a permanent, effective solution to water leaks. You need to find a solution that does not peel off the wall, or fail as the wall expands and contracts throughout the changing seasons. An alternative to covering your basement walls with waterproof paint or coatings, is to mechanically attach basement wall panels. These serve double the purpose by keeping moisture out and upgrading the space. If you are looking for professional assistance or advice to repair cracks in basement walls, there is a team that can help you. Professional remediation can be used to fix the problem and thoroughly inspect your home to assess the problem and cause, and can provide you with effective solutions. When facing any kind of water damage, Flood Services Canada’s quick-response teams serve the Toronto, Oakville, Ajax, Whitby, Georgina, Barrie, Mississauga, and Lakeshore areas. We’re ready to provide 24/7 sewage, water damage, and flood cleanup services and will use the best techniques, personnel, and technology to ensure your home or business is clean, safe, and dry as soon as possible. Contact us at (416) 302-2107 to learn more about our water damage cleanup services, or use our emergency hotline at (416) 999-3930 to get our rapid-response teams deployed to your location.